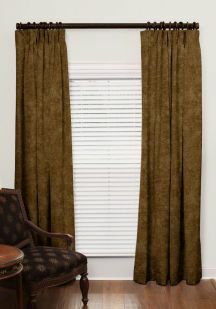 Beautiful custom velvet drapes are an easy way to dress up any room in your home. Our micro-fiber velvet fabric adds a bold, deep look and is the perfect fabric for custom drapery. Because the luxurious feel of velvet, it will create gorgeous panels for your sophisticated living space. You will certainly be stunned when you see your new velvet drapes displayed in your home or business. Our custom quality, customer service, and price is second to none and we stand behind it! Our stocked, 100% poly micro-fiber low pile velvet fabric is lusciously soft to the touch, adds depth to colors and coordinates well with any decor. 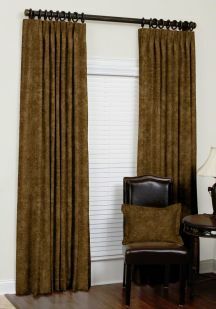 Cushion Source® offers custom indoor velvet drapes in three styles: Grommet, French Pleat and Euro Pleat. 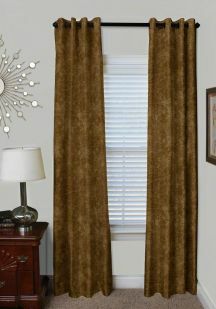 Place your order for custom velvet drapes and easily add drama and dimension to your home! 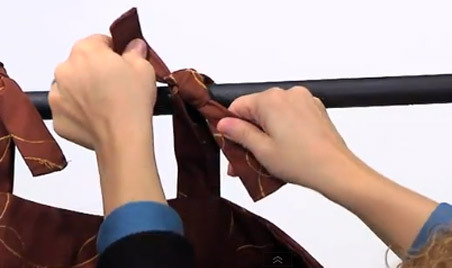 Why our custom velvet drapes?